For over 50 years, Delaware Today has been the lifestyle authority in the First State. The publication boasts various awards for thoughtful commentary and stunning full-color design. As the state’s premier magazine, Delaware Today helps readers make informed decisions to enhance their lives. Delaware Today also publishes Delaware/Main Line Bride 2x/yr, 302 Health 2x/yr, and The Ultimate Guide to Delaware. 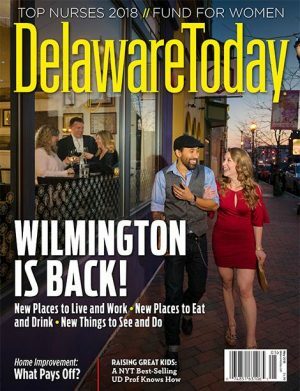 Delaware Today also features a vibrant website, DelawareToday.com, and several signature events for a multi-platform approach In-Print, In-Person, Online. Delaware Today is published by Today Media, a successful communications company known for award-winning regional content.